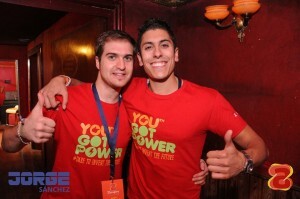 A few weeks ago AEGEE-Burgos organized their 5th anniversary. A small but nice event in which participants got to visit the city that will be the host of next year’s EPM, which will take place mid February 2015. EPM stands for European Planning Meeting, the event that we called EBM (European Boards’ Meeting) until Agora Patra. What will happen in Burgos in the middle of February next year? There are several answers to that question. It will be an event where everything is covered by the budget that AEGEE-Burgos has planned, an EPM that has the full support from the University of Burgos and, most importantly, an event that the members of AEGEE-Burgos and nearby cities are very motivated to host. For this reason small events, like AEGEE-Burgos celebrating their 5th anniversary together with participants from Oviedo, Madrid, Zaragoza and more, are really important to bring people together, because everybody knows that having a strong team is the basis of a successful event. The AEGEEan interviewed the former President of AEGEE-Burgos and main responsible of the EPM, Ruben Sanz, about the event next year and what the Network can expect. 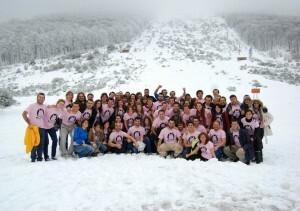 The AEGEEan: You already considered organizing an Agora Burgos but in the end did not apply. Why was that? Ruben: We were planning first to apply to organize an Agora because we had all the support of Burgos University, but organizing it means that we would have to gain a lot of new members or ask for a lot of help from other antennae. Burgos is one of the smallest cities and universities in Spain, and AEGEE-Burgos has not yet reached 100 members in its short history, so we have to know our limits. The AEGEEan: Why did you decide to candidate to host EPM Burgos? Ruben: Because it is the ideal situation for us. During the last three years we have organized a lot of events, Network Meeting, our yearly event (Morcillote’s birthday) and even the last Renove for more than 100 participants. We have several members who have been main organizers of events, who have a lot of experience and are very motivated people. Compared to ZarAgora we have about a quarter of the amount of members that AEGEE-Zaragoza has, but at least we have members with lots of experience, especially in organizing events. The AEGEEan: Do you have people that were part of organizing Agora Zaragoza that would like to help with the realization of EPM Burgos? Ruben: Of course! Three of us have been organizers in Agora Zaragoza, and many of us have attended a lot of statutory events so we know how to do things, we know what to do and what to avoid. We understand the strengths and the weak points of one event for such a great amount of people. I think that you go back home with a smile if you have good food, you don’t have to walk for long distances or use buses to go from the gym to plenaries and of course a nice place to rest with hot showers. And we have all of this! 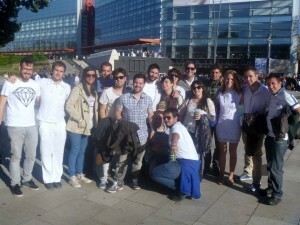 What experience and knowledge do the members of AEGEE-Burgos have about previous EBMs? Ruben: We have sent envoys to Izmir, Malta and Lublin, so we know what the Chair team needs. People who attended all of them know that they were completely different in logistics, so we will try to pick the best things from each, even though we cannot book a hotel for participants as it was the case in EBM Valletta. The AEGEEan: Personally, you have attended three EBMs, what do you like about the event? 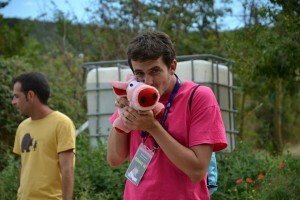 Ruben: For me it is the best event of AEGEE! Izmir was my first and I had no idea what I was getting into, and when I started listening to the lectures my jaw dropped. I’m very interested in geopolitics for example, and Lublin was awesome! I am a bit worried about the feeling that is growing in Europe where people say “We’d have a better life if we were alone”. I am very Euro-optimistic and hearing different opinions has made me very open minded to different problems of countries. The AEGEEan: Why did you decide to be the main responsible of the EPM? Ruben: I’m the most experienced member in our antenna and I have been very involved in all of our events all these years. I joined AEGEE three years ago, when AEGEE-Burgos was only a seed, now we are a tree that keeps growing and growing. Now we are a normal antenna in terms of members, active people, participants in events, budget etc. I think it was a normal process. You know that the ideal situation is that a leader emerges from the group, but in this case I’m just the head of a group, and the project and the direction is set by the whole group of organizers. 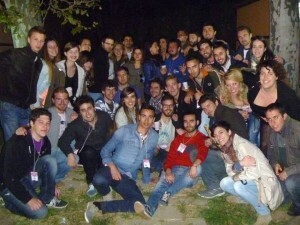 During the 5th anniversary of AEGEE-Burgos the participants celebrated the “White Night” of AEGEE-Burgos. What will participants celebrate during EPM next year? The AEGEEan: How many active members do you have in your antenna? How will you ensure that you have enough organizers and helpers? Ruben: Now we have 12 board members, but the number of active people is 20. We have some new members who will go to different Summer Universities who we would like to turn into active members. We organized the 5th anniversary of our antenna last month, and some new members were there too, and we made one twinning trip to León and to Oviedo and more new people came. After summer we hope to be near 30 really active members! 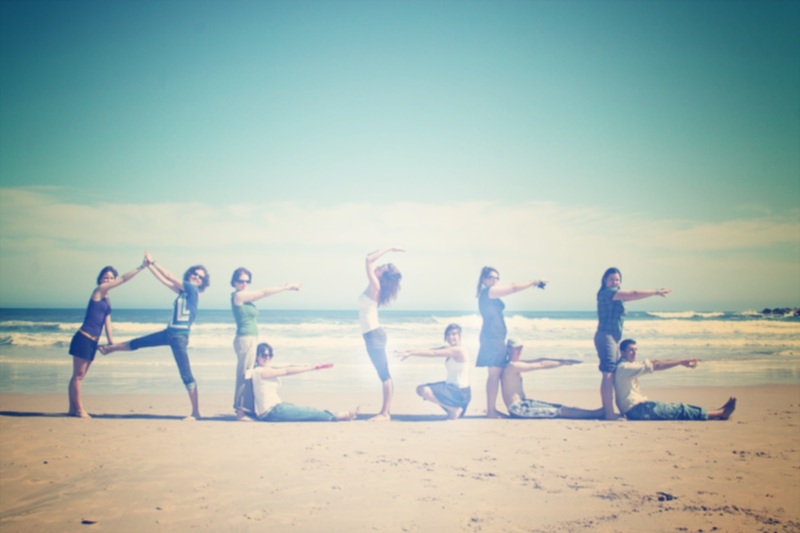 Anyway we will ask some very experienced members from nearby cities to be helpers too, all the north area of Spain is one big AEGEE family, we take care of each other, we have a lot of unofficial events as twinning trips and now we are a very big group of friends. The AEGEEan: What is special about your city? Ruben: Burgos is one of the main stops of Saint James walk, and it is the capital of the old kingdom of Castile (the seed of Spain of nowadays). 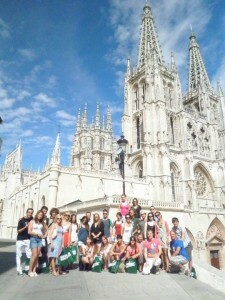 Burgos cathedral appear in all art books and we are famous because of our wines and traditional food. Last year New York Times marked Burgos as one of the top 25 places to go. I know that people will have to check on a map where Burgos exactly is, but I’m sure it will be a great surprise for all the people who will come here. The AEGEEan: Will it be easy for participants to go to Burgos? Ruben: Yes, Burgos is just in the north part of centeral Spain, we are only a bit more than two hours away from Madrid (there are even direct buses from Madrid airport every hour), and we have some daily buses and trains to Barcelona. In less than 1 hour we can reach the low cost airports of Bilbao, Santander or Valladolid. So we have a lot of ways to arrive, and I’m sure some nearby antennae will organize awesome pre-events! AEGEE-León has already confirmed that they would like to organize a pre-event. The AEGEEan: What experience do you have in organizing events? Ruben: Our team has organized several big events during the last years. One Network Meeting, Summer Universities as a yearly event, as well as “Burgos me pone Morcillote”, and most recently Renove (social post-summer event in the area of La Nave) last autumn and 5th anniversary of our antenna last month. I think now we can say we are the most active and experienced antenna in our NetCom area. Ruben: We will have all buildings in the same area, so it will take us only two minutes to walk from one place to another, and we are in the negotiating process of places for a great social program. You know, it is Spain! It will be unforgettable for all. The AEGEEan: You hosted Renove for many people last year, what does this extra experience mean for your antenna? The AEGEEan: The Spanish economy is not at its best, how will this affect your event and how will you make sure that you will be able to organize the EPM? Ruben: It’s not really important because we thought of this events for the participants, we are really focused on members and not on external matters. We have a minimal budget, and all the help that we need, and we promise to organize a big event with all the qualities that the participants expect and we do not depend on official aid in kind or companies subsidies.